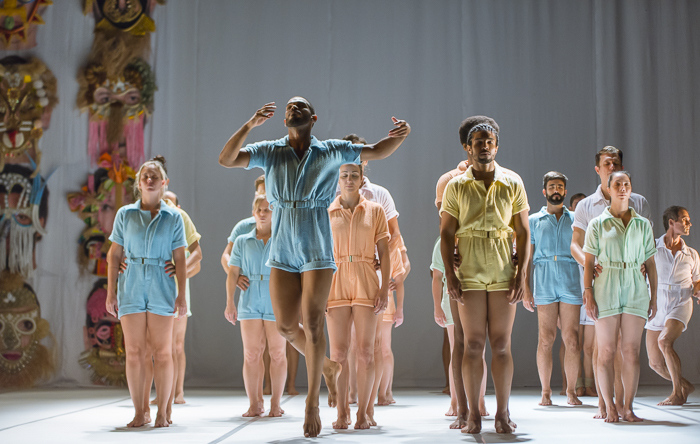 Paradise is a delightful and unexpected co-presentation between acclaimed Melbourne dance company Phillip Adams BalletLab and pre-professional dance company Yellow Wheel with esteemed artists and collaborators Gregory Lorenzutti and Spacecraft Studios. Paradise is a work assembling Artistic Director, Phillip Adams’ treasured childhood memories of the South Pacific evoked through visual expressions of pageantry, lively choreography and whimsical ceremony. International collaboration between Australia and Brazil. Pacific is an densely layered interpretation of cultural collision from Australian choreographer, Phillip Adams. The work seeks to celebrate yet question tradition, while allowing performative interpretation across social commentary on gender and discrimination. The PopUp Tearoom Series was a durational, five-hour long performance installation as a part of Festival of Live Arts(FOLA) at Arts House, Melbourne in March 2016.The multi-dimensional performance spaces were created in the actual, virtual and surreal ‘tearooms’ with audience interaction. 'The Lines of Birds' was a new site-specific dance work by Paea Leach in collaboration with musicians Madeleine Flynn and Tim Humphrey and dancers Gregory Lorenzutti and Michaela Pegum. A work for the meeting of sound and body in a resonant outdoor chamber. Presented as part of Chunky Move's IT CANNOT BE STOPPED, Next Move season, and performed in the undercroft outside the Chunky building in the wintery chill of Melbourne air June/July 2014. Lighting Ben Bosco Shaw. Phillip Adams and Brook Andrew have embarked upon a radical collaboration, through which they surrender their usual artistic expression to swap cultural identities and artistic responsibilities. Hence, the choreographer becomes the artist, and the artist the choreographer. Via a set of rigorous rules, an exploration of the known trajectory of Adams and Andrew is smudged and erased, to allow for new creative and cultural possibilities. Improvised performance situation for three bodies, painted timber dowel and body paint.